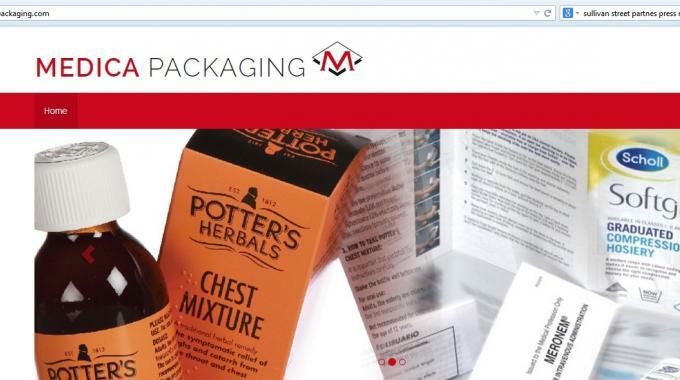 Medica Packaging has separated from Benson Group and become an independent specialist packaging provider owned by a group of private individuals, managed by Sullivan Street Partners. Medica Packaging employs more than 100 staff at its facility in Crewe, UK and produces high grade printed cartons, leaflets and labels. The company has a strong heritage of specialist pharmaceutical and healthcare carton packaging services going back to 1922 and was part of the Wellcome Foundation at one time. In a joint statement, Medica Packaging chief executive officer John Bath and general manager Keith Greasley said the plan for the future is to focus Medica Packaging on its core strengths of providing specialist cartons, leaflets and labels to the healthcare and pharmaceutical sectors. Sullivan Street Partners approached Medica Packaging’s parent company Benson Group to negotiate a separation, which included traditional services for IT and transport, and ongoing arrangements for disaster recovery. The deal was completed in October. Benson Group, along with Medica Packaging, was acquired by Graphic Packaging International earlier this year. Nicholas Mockett, head of packaging mergers and acquisitions at Moorgate Capital, said: ‘The attractions of the pharmaceutical packaging market continue to be appreciated by both strategic and financial investors with a series of deals in the last couple of years such as Essentra’s acquisition of Contego Healthcare and Carlyle’s investment in Chesapeake.